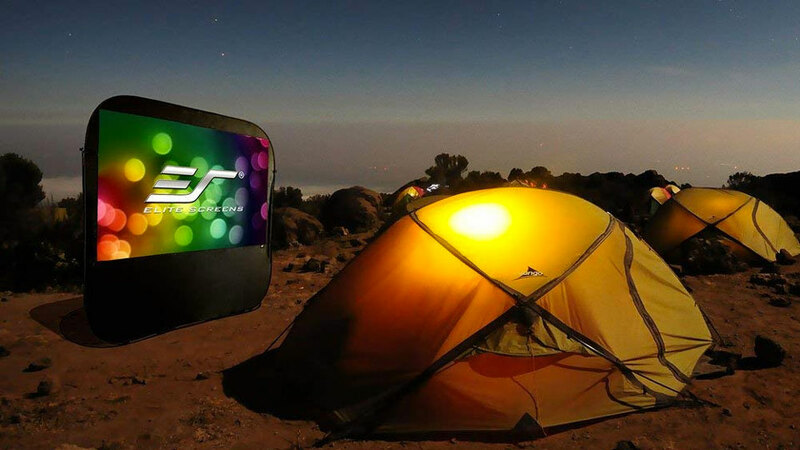 Elite Screens has a little different kind of Pop-Up Video for you. Their Pop-Up Cinema series of portable folding outdoor projector screens is built on a spring frame system that bounces to life in seconds, naturally, with no tools required for setup. 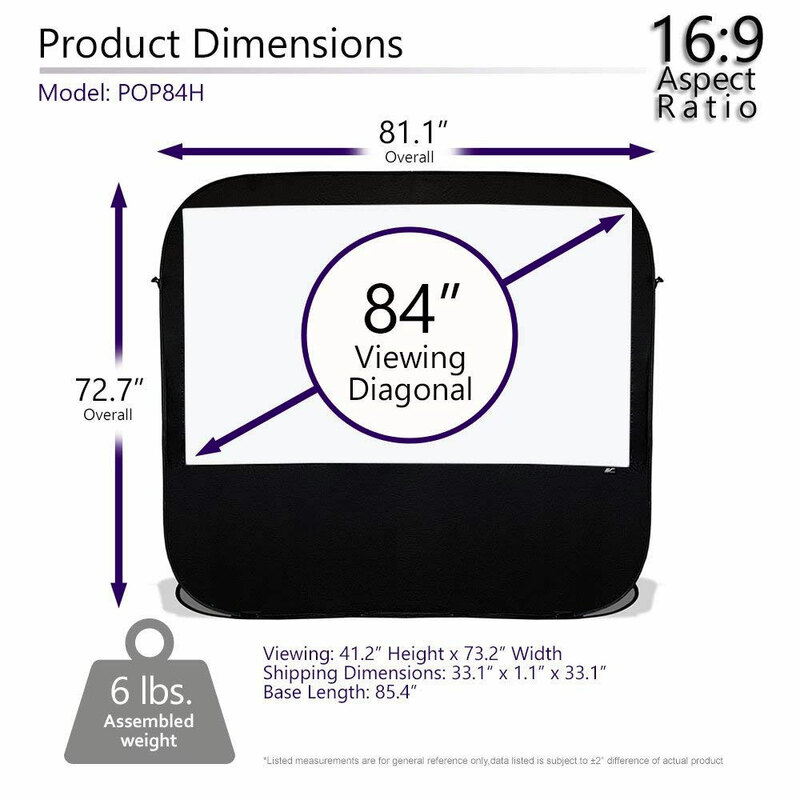 It also packs down into a 32" diameter carrying case, producing a 16:9 84" or 92" outdoor movie screen that's easy to stuff in the car, easy to unstuff at the park or campsite, and weighs just 6 to 7 pounds. 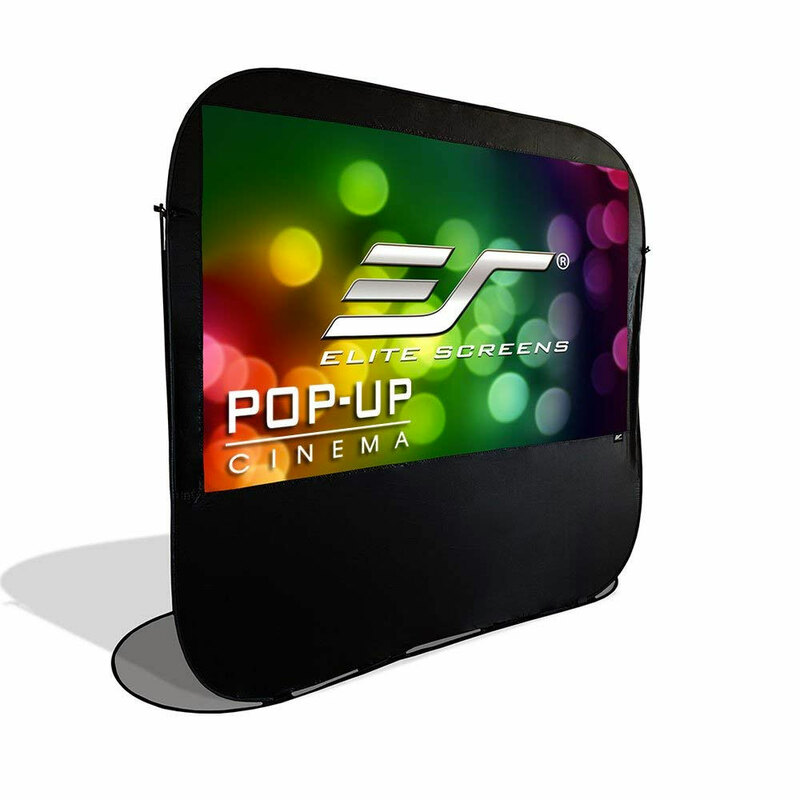 Pop-Up Cinema screen material is SilkWhite, a synthetic textile with a 1.0 gain reflectivity and 160-degree viewing angle. It is compatible with standard and short throw projectors.